Engineers Without Borders Sweden is forming a new Technical Focus Group in Energy. Are you experienced within the energy sector and have an interest in contributing to the international work of EWB, please check this out! Engineer to Engineer put together an inspiring afternoon together with the technology company Knightec. During the afternoon the participants got the opportunity to meet experienced recruiters who were teaching all the ins and outs of interview technique and how to tailor one’s LinkedIn profile to attract a future employer. There was also a photography-station where profile pictures were taken to use for resumé and LinkedIn profile. Engineer to Engineer aims to facilitate the integration of recently arrived engineers and scientists. Engineer to Engineer connects progressive companies with newly arrived engineers and scientists to improve work and social integration. Engineers and scientists can network and exchange experiences with working professionals in Sweden. Read more here. It’s time to look forward! Engineers Without Borders annual meeting 2019 will be held on the 6th of April in Gothenburg. At the annual meeting, the nomination committee presents a proposal for next year's steering committee. The nomination committee this year consists of Malin Strand, Lukas Leander and Stefan Karnebäck. Until 28 February, we welcome members' nominations. We will use these nominations in our process to form our proposal for the steering committee 2019/20. Please send your nominations to malin.strand@ewb-swe.org and your motions to caroline.bastholm@ewb-swe.org. Deadline for submitting motions is on the 15th of March. The level of education in the Tanzanian districts Karagwe and Kyerwa is low. Clean, safe drinking water is scarce, and most of the primary schools lack water, electricity, adequate toilets and sufficient buildings. Many children, especially girls, drop out of school. 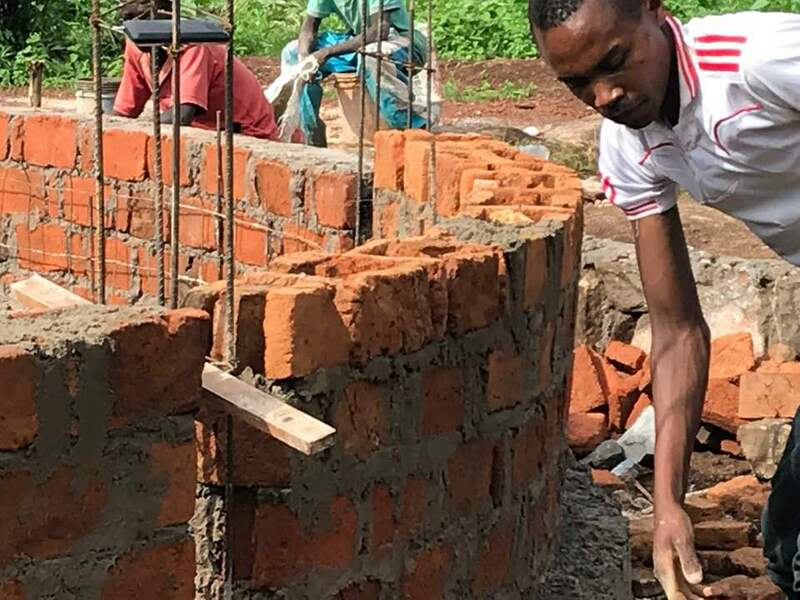 Engineers Without Borders Sweden and the local Tanzanian organisation Mavuno collaborate to improve the educational situation in Karagwe and Kyerwa. Mavuno runs a Secondary School focusing on supporting girls. 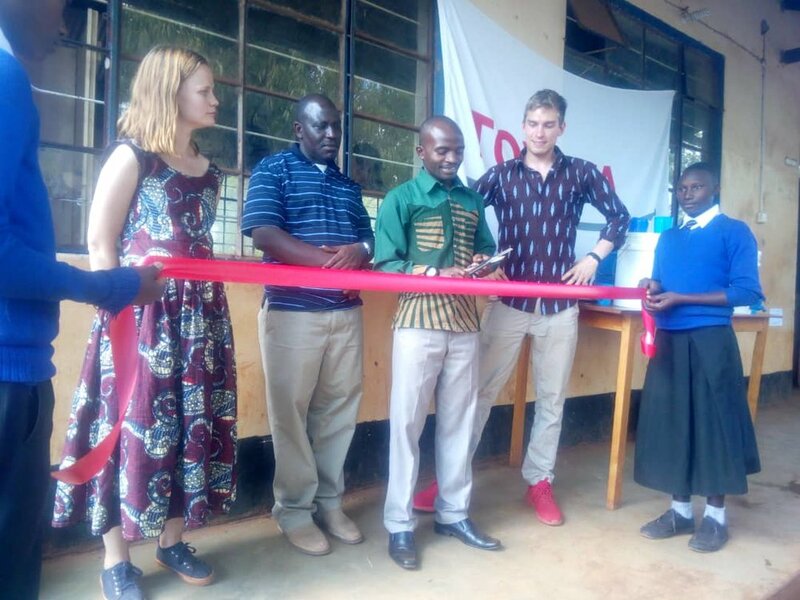 Together, Engineers Without Borders Sweden and Mavuno work to improve the basic conditions for successful school activities, such as water and sanitation, and subsequently electrification and digitalization. We are happy to announce that we now can continue to develop Mavunos Secondary School. NCC has contributed with a Group-wide Christmas donation that will enable more classrooms, laboratories and dormitories. The educational program can thereby be extended, which means the pupils will then be eligible to apply for university studies. The donation will also allow for new water tanks that provide access to drinking water and water for cleaning, cooking and watering crops for 3,500 to 4,000 pupils and teachers in primary schools in the area. 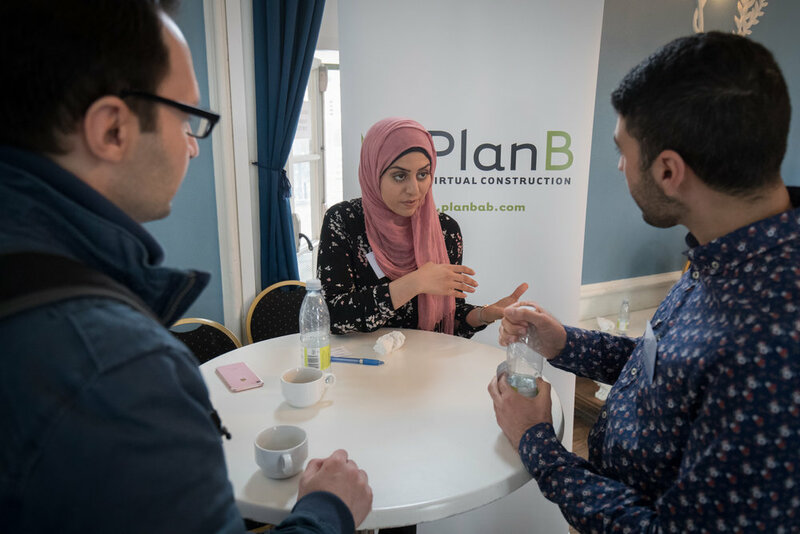 Engineer to Engineer (E2E) arranged an event in Uppsala that focused on equality from different perspectives. The event aimed to give an insight into how companies work with equality and to prepare the participants for the working life in Sweden. We had three presentations from equality experts. 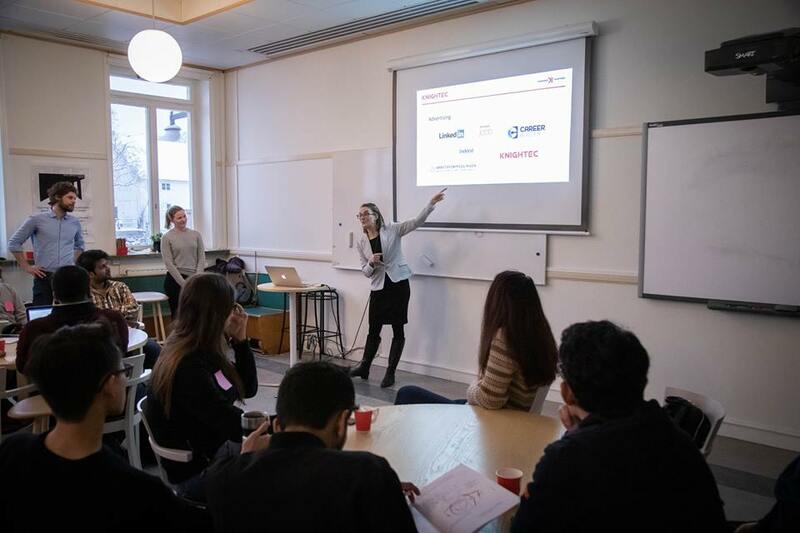 The organisation MÄN Uppsala talked about their work, followed by Anne Peters from the Equal Opportunities Group from the IT Department at Uppsala University. The IT consulting company Netlight talked about how they work to increase the equality in their company and society as a whole. The presentations were followed by an interactive case where the participants could share their ideas and experiences about equality in the workplace. We at the E2E team would like to thank our partners for making this event possible! Engineer to Engineer aims to facilitate the integration of recently arrived engineers and scientists. Engineer to Engineer connects progressive companies with newly arrived engineers and scientists to improve work and social integration. Engineers and scientists can network and exchange experiences with working professionals in Sweden. Finally, the installation of the water purification system is complete and everything is working the way it’s supposed to. That means that the pump and all filters are put in the wooden box that has been made to keep the system in place. The solar panels and the batteries are installed and all the electricity is connected to the system. After testing the system it was time for the next round of water samples. In the beginning of the project, similar water samples were made with the water from the water tanks and they showed contamination of the water by high numbers of coliform bacteria. The new water samples were perfect and showed that no bacteria was in the water coming from the water tap after the filters, and that also meant the water was perfectly drinkable. The next step was to have an opening ceremony at the school and celebrate that the project is finished. On this ceremony, the volunteers cut a ribbon together with the headmaster of the school before handing over the keys to the system and with that also the responsibility of the system. 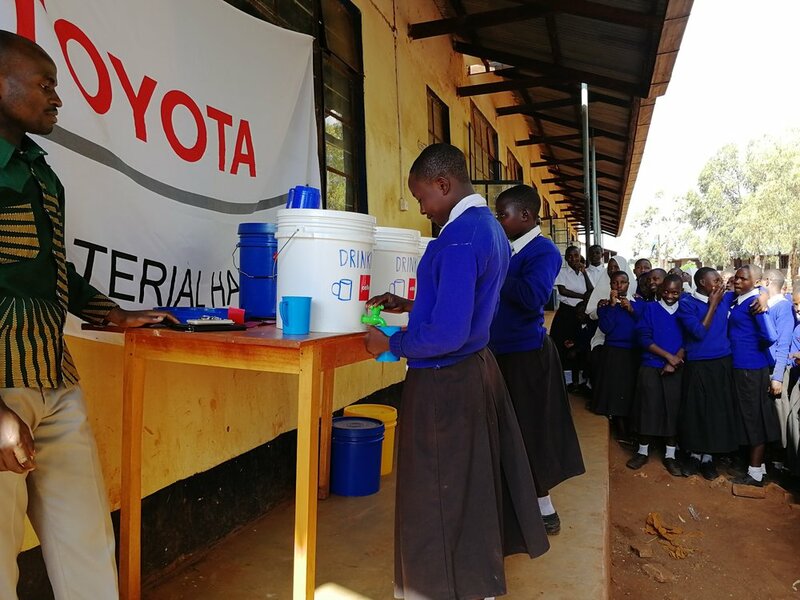 Clean water was handed out to teachers and students, and seeing their happiness meant all the hard work carried out both from Sweden during the previous year, and these two months in Tanzania was worth it. To make sure that the teachers at the school would use the system properly, a book with instructions regarding everything from how to operate the system, how to fix errors and leaking as well as maintaining the filters properly, has been written and left at the school. By using these instructions we are educating a number of teachers and students that have been chosen as responsible for the purification system and they are learning very fast. That means we are hopeful that everything will work the way it is supposed to when we leave the school and go back to Sweden. 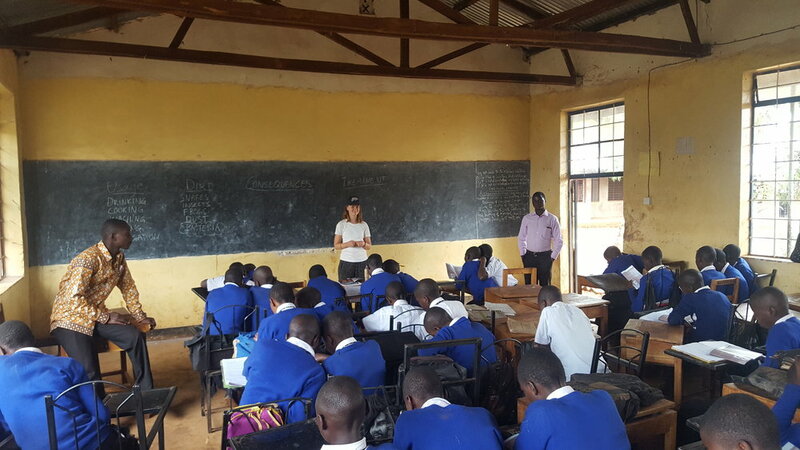 We have also finished the education and workshops with all students at the school, where we have continued to discuss the importance of clean water and good hygiene. 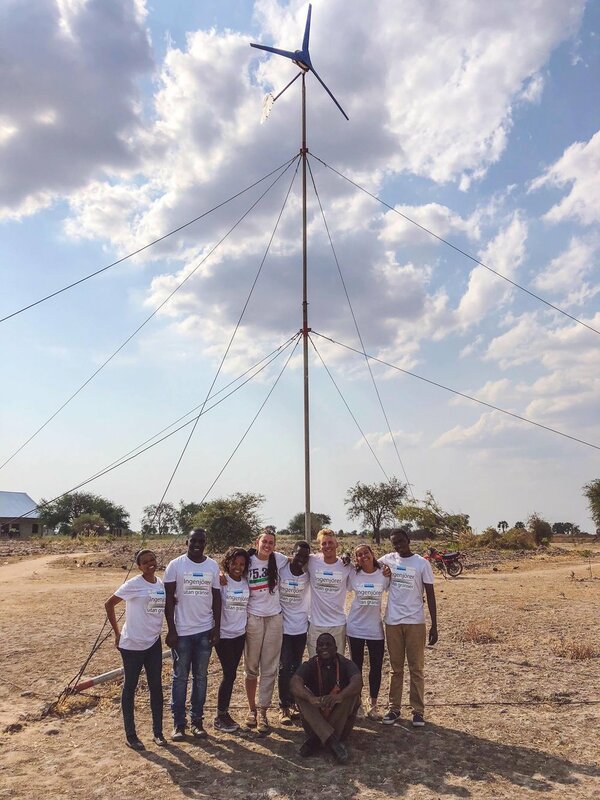 After 9 months of planning/working in Sweden and 2 weeks in Tanzania, the wind turbine is finally finished. There is now light in both the boys' and the girls' dormitories. 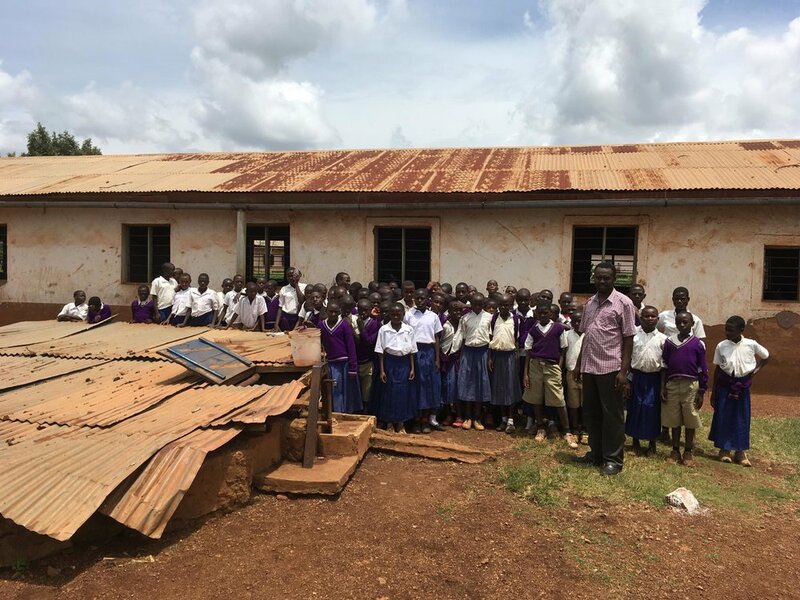 With the addition of four solar panels, we also brought power to 3 classrooms and the teachers' office. Now, the installation of computers is possible in the office and students can comfortably study even in the evening hours. We would like to thank all of you for the support and especially, our three sponsors Sandvik, Wallenstam and Proplate. For the last weeks two volunteers from EWB have been working on a water purification system for a secondary school in Karagwe region in northwest Tanzania. The project has to this date made good progress and we are almost ready to start the big installation at the school with the materials we now have ready. This means that we have solar panel and battery that will supply the system with the required electricity. We have all the pipes and fittings needed to drain the water from the tank, through the system and finally to the tap. 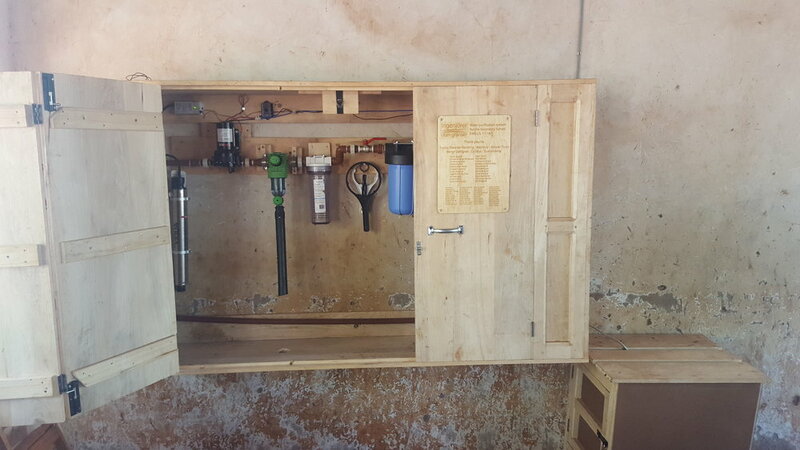 We have with the good help of a local carpenter designed the wooden box that will fit the entire purification system and this work is now finished. In addition to this we have also started with the workshops/education programs about water management, health risk related to water and hygiene, which is an associated part of the project. We have had one workshop together with the teachers at the school where we focused on discussions about usages of water and how risks in different contexts are avoided in the best possible way. We have also had interactive lecture with the students where we ask questions and let the students answer as well as ask their own questions. Through this course, we want to raise awareness about water issues. 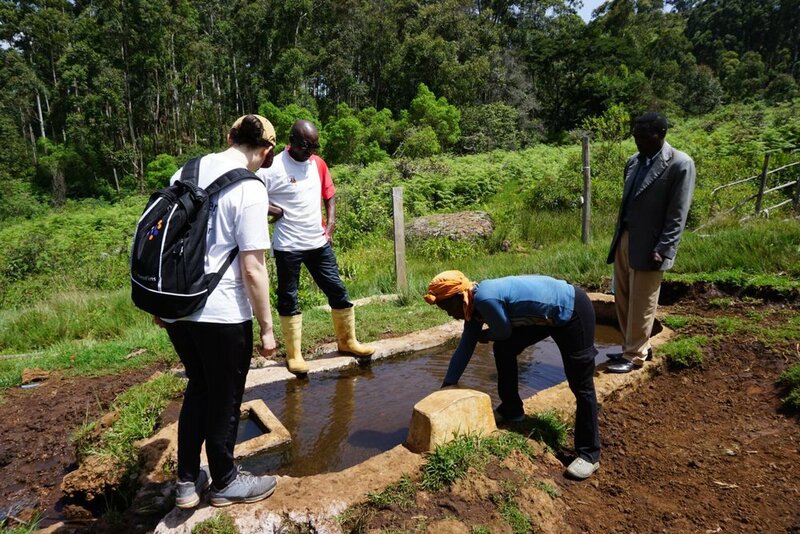 It also gives us volunteers a good insight into different problems you find here in Tanzania regarding water. The weeks ahead of us involves instalment of the water purification system along with solar panels and battery. We will make sure everything works as we intended and we will also continue education with more students. There will also be a separate workshop on how to use and maintain the purification system with those responsible at the school. 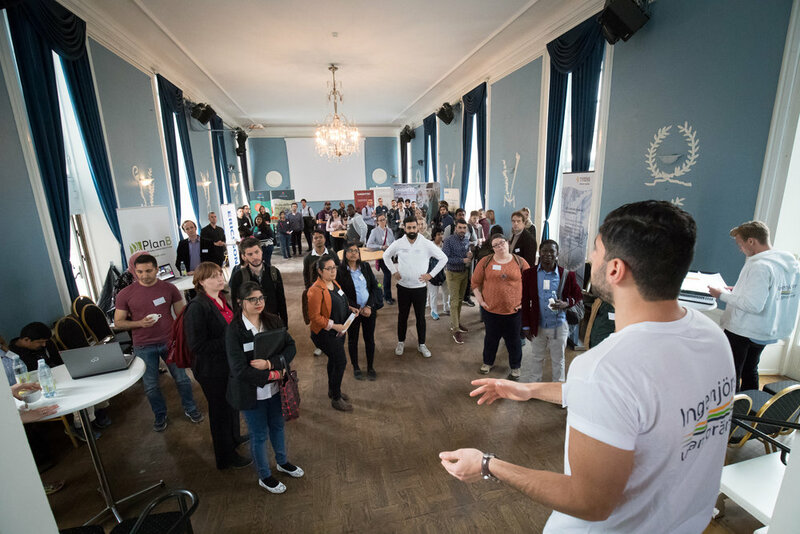 Engineers on their way-Care to join” is an exhibition with the aim to inform and inspire engineering student by showing how engineering skills are needed and used to help refugees. The exhibition has been created with the engineer in mind, presenting five different initiatives in which engineering plays a key role in helping displaced people. For each initiative, the need and the requirements in the specific case are stated, followed by the solution provided by the initiator. By acknowledging different aspects of displacement and by showing a wide spectrum of engineering being applied, the exhibition informs and hopefully inspires engineers, future engineers and others to contribute to a better world. The exhibition was an initiative from the EWB Linköping where it has also been exhibited during the spring. The exhibition is intended to be long-lived and used elsewhere and will go on a tour to other EWB groups. During the fall, it will be shown at Uppsala University and Chalmers University and the exhibition will hopefully continue to other universities. 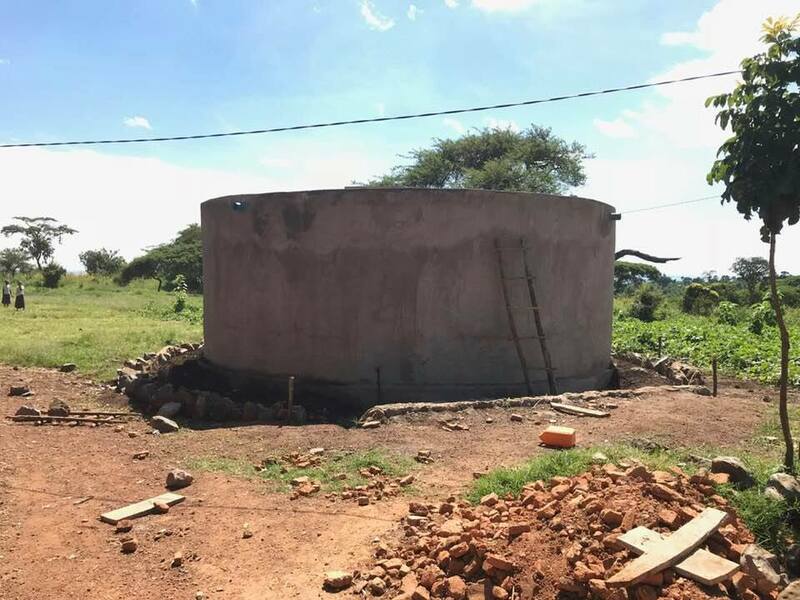 A new rainwater tank for Rukole Primary school in Tanzania was financed through crowdfunding (swish). 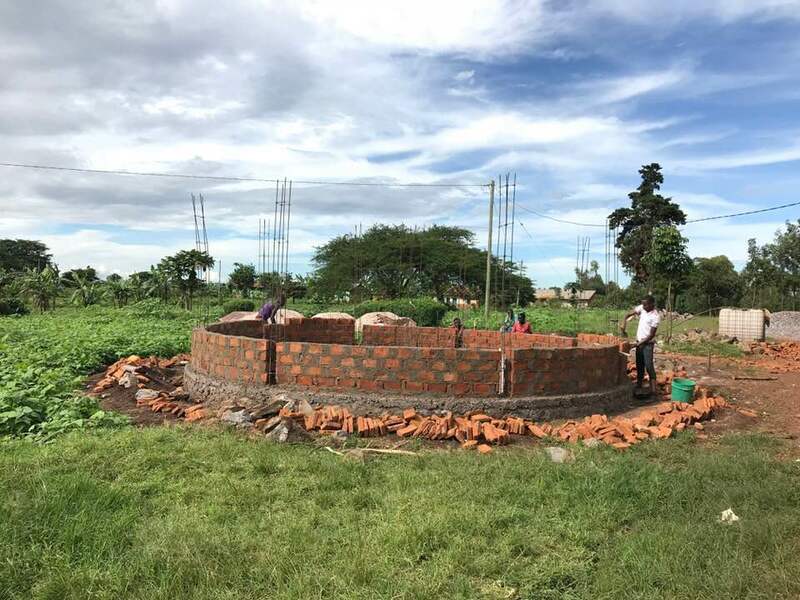 Thanks to your donations a rainwater tank is now being built at Rukole Primary School. The tank will provide drinking water for the over 1300 students. The rainwater tank collects water during the rainy season and provides the school with drinking water during the dry season. The donated money goes directly to the construction of the tank with local volunteers (some parents of the school children) and local workers. All work by members of Engineers Without Borders is volunteer work. Work as a volunteer for 9 months? The Engineer to Engineer group in Malmö is happy to announce that we, in cooperation with Malmö University, Region Skåne and Symetri AB, will offer a Revit verification course for newly arrived building engineers. The course will be held this fall v.33-v.40. After course completion, you will get an Autodesk Revit certification from Symetri AB and a diploma from Malmö University as a reference of your knowledge. Apply to the course before 2018-06-30, there are limited seats. 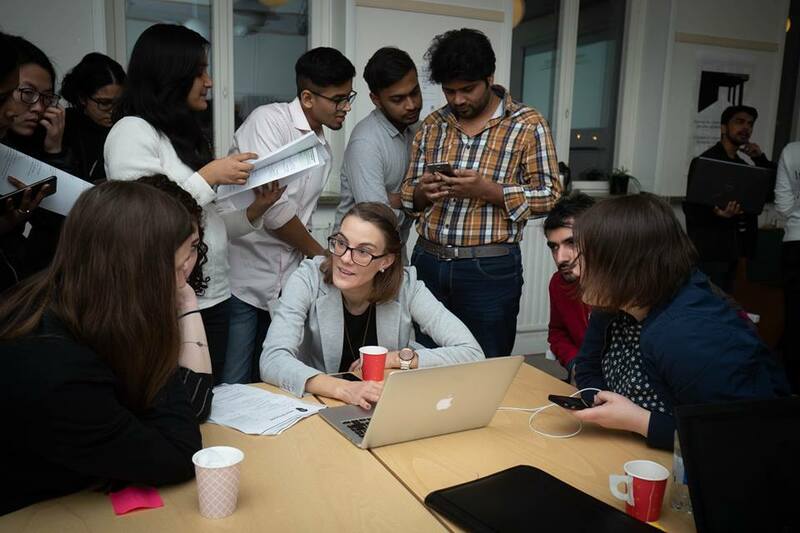 Engineer to Engineer (E2E) is an integration project within Engineers Without Borders Sweden. We want to connect newly arrived engineers and scientists with Swedish companies within their field. E2E focus on networking and providing tools to make it easier finding a job in Sweden. 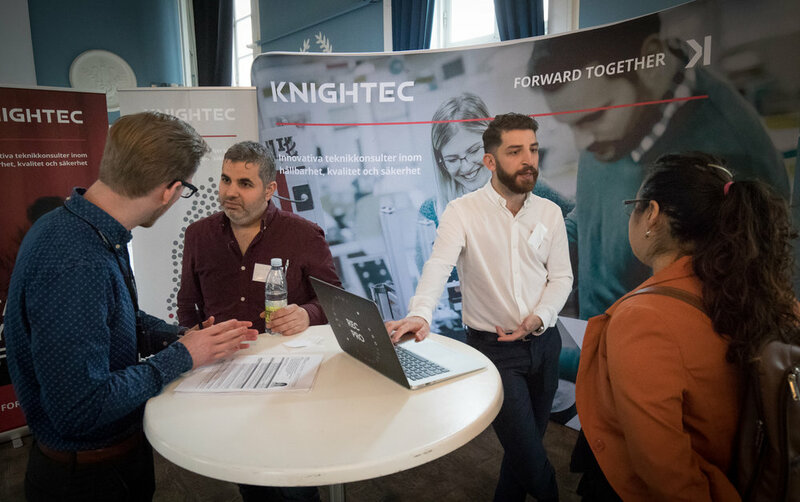 This Thursday Engineer to Engineer Uppsala held their annual Recruitment Day. The day consisted of speed dating and mingle with companies, one lecture on professional networking with UU career and one on intercultural & emotional intelligence when hunting for a job with Gwen Murray. We in the E2E team would like to thank the companies who attended the day; it would not have been possible without you! Are you new in Sweden and have a background in engineering or natural sciences? Now you have an opportunity to meet your potential future employer! Engineers Without Borders are happy to invite you to E2E Recruitment Day of Spring 2018. Several established companies will be there to meet newly arrived engineers and scientists, explore the possibilities of work/internships and provide work-related advice. They will be there for you, holding lectures and looking for relevant recruits. This event is free of charge for participants, and we will also be serving lunch and fika. This day is especially for new-arrivals who have been working as engineers or scientists, but students are also welcome to participate. We will be able to pay asylum seekers for their transportation if this is applied for in advance. Contact us as soon as possible if you’re interested. We are sad to inform you that Ivan Öfverholm, founder of Ingenjörer utan gränser, suddenly passed away on Tuesday the 6th of March at 75 years old. Ivan will be greatly missed as a father, grandfather, friend, mentor, and colleague. Ivan founded Ingenjörer utan gränser in Gothenburg in 2007 and was our chairperson until 2015. He was a man with a big heart. The idea of Ingenjörer utan gränser was born during the tragedy of the tsunami in 2004. Ivan was the glue that held us all together during the first years, always positive, working tirelessly to bring the best out of everyone and to find new talents for the team. Under his leadership, the organisation expanded from a small group at Chalmers to a national organization with groups in many major Swedish cities. Ivan had a rich and eventful life as an engineer and manager, starting his career in early software and mobile telecommunications. He later moved on to the space industry, where he was CEO of Saab Ericsson Space, now Ruag Space, for almost two decades. He held several other roles in the engineering community, for example as president of The Royal Swedish Academy of Engineering Sciences in West Sweden (IVA Väst). Ivan always had a close connection to Chalmers, with a history as treasurer for the student union. The final years of his life he dedicated to his grandchildren and friends, making the occasional visit to Ingenjörer utan gränser such as helping set up our Engineer to Engineer activities. We want to thank Ivan for all the love and dedication he has shown Ingenjörer utan gränser throughout the years, and the lasting impressing he has left on so many of us. The funeral will be held in Masthuggskyrkan at 13:00 on April 6th.